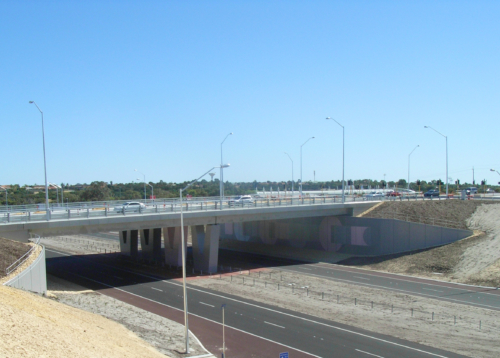 Parry and Rosenthal Architects provided design input and review for the extension to the Mitchell Freeway from Hodges Drive to Burns Beach Road in Perth’s northern suburbs, including a series of 3 traffic bridges and interchanges, 4 underpasses, an elevated pedestrian bridge, a major train station entry underpass and associated noise and retaining walls. An extensive amount of community consultation took place during this project to ensure all concerns raised by stakeholders were addressed. The works were undertaken with minimal impact on traffic movement on existing roads as well as to neighbouring properties. 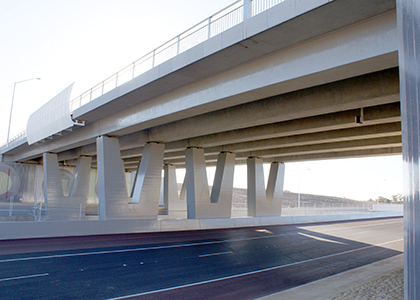 The width of clearances and abutment walls to bridges were designed to maximise openness, light and sightlines. Bifurcated piers were utilised to reflect the designs of the approaching structures and to maximise openness and transparency under the bridges. 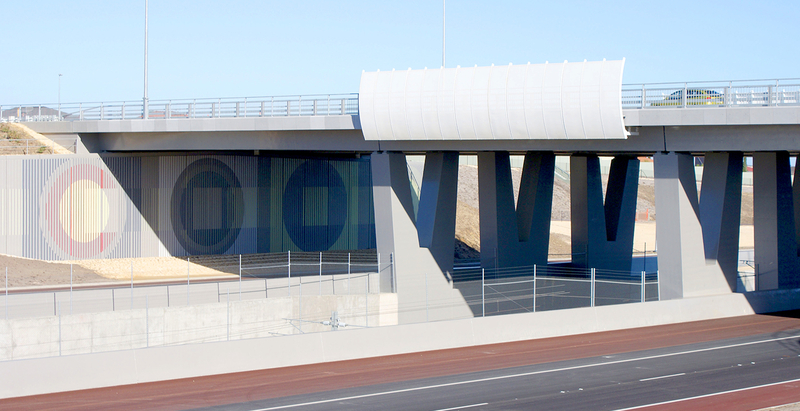 Public Art incorporated into the Mitchell Freeway Extension project was carried out in close consultation between the artists, the client, the design and construction teams and involved fully integrated art works by Stewart Green and Simon Gauntlett on piers, abutments and noise walls. 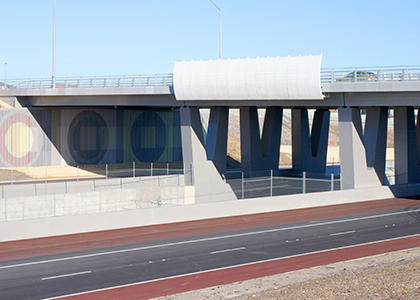 Parry and Rosenthal Architects are currently working on the next stage of Mitchell Freeway extension from Burns Beach Road to Hester Avenue, due for completion by mid 2017.